All life forms resonate with sound. Harmonious tones can have a profound healing effect on the body and spirit, reducing stress, calming the heart, aiding digestion and appetite and encouraging overall well-being rather like sonic vitamins! Once you are familiar with the animal healing session narrated by Elizabeth you have the option to immerse yourself and your animal friends in the wonderful natural organic instrumental version complete with native wooden flutes, tibetan bowls, soft 528 hz tubular bells and the wah wah bar. Tried and tested in Elizabeth’s Animal Clinic cats, dogs, horses and their guardians become relaxed after absorbing these healing sounds. This CD was created with the intention that both humans and their animals can share this healing experience. This CD is in a distinct class of its own. A combination of two of the most experienced facilitators in their specific fields, Elizabeth and Tim’s collaboration offers a sophisticated, seamless experience for meditation and healing to all of us who are blessed to have an animal companion in our life. The haunting, beautiful sounds of flutes, Tibetan bowls and gentle bells, combined with sounds from the natural world take one on a deep, peaceful journey. Elizabeth’s soothing, succinct words help one to relax in an effortless way in order to open and deepen our connection with our beloved animal companion. Her training with one of the world’s most well-respected healing organizations, together with her own varied, hard-earned experience and personal development is immediately apparent. Her verbal delivery is gentle, yet confident, following the basic spiritual laws of grounding, centring and being in the present moment. The listener is drawn to a place of complete bliss, where both human and animal can unite to facilitate healing on the physical, mental, emotional and spiritual levels. A unique, magical experience; highly recommended. I bought this album last weekend and love it. 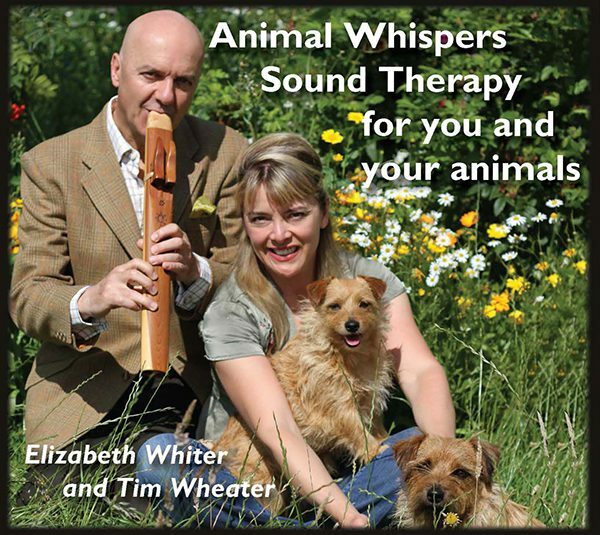 Thank you Elizabeth and Tim Wheater for beautiful, healing music you can share with your animals.